For many parents, leaving your child in a childcare facility can be daunting, and it can leave you feeling worried or guilty. Getting over the first initial hurdle is the hardest… the drop off! It’s quite common for some children to get emotional and upset at the start of the day separated from you. However, this is VERY normal. What parents sometimes don’t realise is that once they have left, it only takes a few minutes for them to get over the primary separation from you until they begin interacting with other children, and joining in with other activities. Being around other children is vital for your child’s development, confidence levels and social skills. Here are a few steps that you can take which should encourage your child to settle in easier into a childcare setting. In order to make the initial separation a bit easier for you child, if possible try to get them to spend a short amount of time away from you either with family or friends. This will help them get used to the idea of spending the day away from you in a childcare scheme. When saying goodbye to your child, make sure you keep it short and sweet so that over time they don’t have time to get emotional about the thought of you leaving. The last and probably most important tip is, once you have left, leave. Don’t come back after a few minutes to check on them to see if they are still upset or if they have settled, this can actually upset your child even further. Also, don’t come and get them early as they will never be able to get used to not being around you for a few hours. It also enhances to your child that you will give in to them whenever they get emotional, which is not helpful for you in the long run. At Barracudas we often deal with parents who are concerned about leaving their child as they suffer from separation anxiety or they are shy. 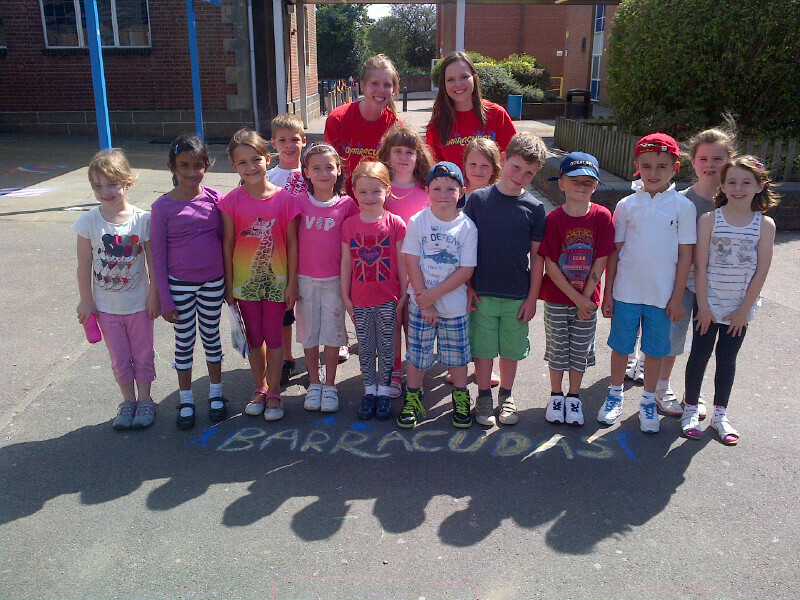 We reassure our parents with feedback from others about how Barracudas has helped their child to make new friendships, and has really helped to grow their confidence. It’s a real moral boost to parents as well when they pick their child up and their child tells them how they’ve really enjoyed their day. Makes them feel less guilty about leaving them next time!